Tucked away just off Edinburgh's famous Royal Mile and offering unparalleled accommodation, Old Town Chambers is located just a 3 minute walk from Waverley train station and easy access to all transport links including the Edinburgh trams. Opened in July 2013, our five star apartments offer a quintessential, authentic experience combined with the luxurious comforts of 21st century lifestyle, offering the freedom and space you would expect from serviced apartments. 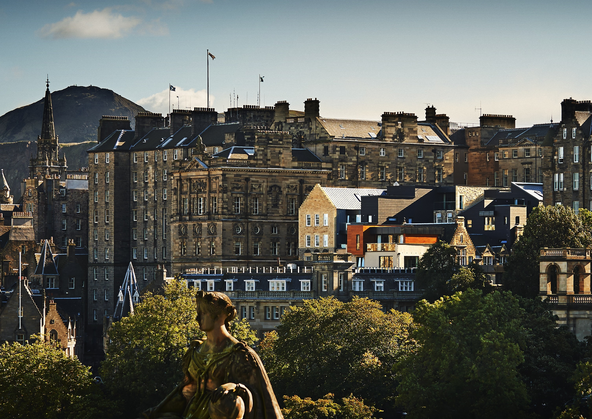 You have the choice of one, two and three bedroom apartments, a luxury penthouse with views overlooking Princes Street gardens and the oldest Townhouse in Edinburgh, tracing its routes back to the 15th Century. Each apartment is individually designed to ensure your stay feels like a home from home. Whichever apartment you choose you will find individual and tasteful design. All apartments come with a fully equipped kitchen/dining area and open plan living space, including Smart TV in the living room and master bedroom and a Bose sound system with blue tooth connection.